CryptoWall’s Return, And What We Can Do To Help! 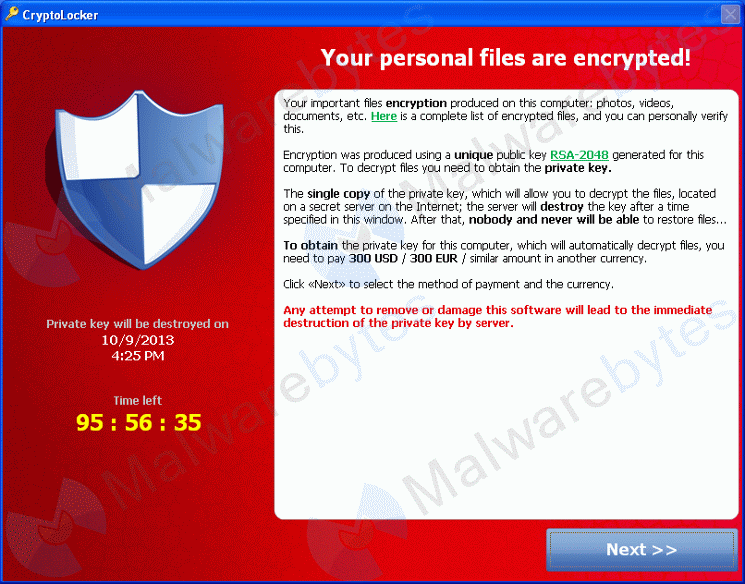 INC Technologies has been seeing a resurgence of the CryptoWall Virus infecting computers at an alarming rate. What’s even worse is now, it encrypts a file’s name and data, which makes it even more difficult to diagnose what files are important and what doesn’t need to be recovered. When CryptoWall 4.0 infiltrates the computer, it injects itself into your Web Browser and disables System Restore, Shadow Volume Copies, as well as Windows Startup Repair. In turn, that leaves the typical computer user completely vulnerable to stop the encryption from happening, if there is no decent antivirus software available as a capable barrier. Ransomware, which is very similar to CryptoWall 4.0, is usually transmitted through spam emails, websites that are compromised, or malware. Secured firewalls and antivirus software are important but they cannot fully protect against new threats that arise on a daily basis. A resolution that would best fit your company would be to contact INC Technologies so that your business is able to have a remote backup solution to fall back on, incase anything were to happen. INC Technologies equips you with a continuous, affordable, and most complete cloud platform for data protection. The CloudSync platform delivers cloud backup and archive, disaster recovery, and file sharing with military-grade security. This full range of data protection functions span mobile devices, Macs, PCs, tablets, fileservers, and application servers. The CloudSync flexible platform protects data to a company’s own private cloud, a public cloud environment or to anyone of the CloudSync twelve data centers around the world. CloudSync will automatically find your important files and can find and backup files based on type, making it easy to manually specify exactly which folders to back up. Beware of Fraudulent Cyber Monday & Holiday Season Deals!